Mitsubishi has reduced the UK launch pricing of the i-MiEV electric car to £28,990 - or £23,990 after the UK government’s £5k consumer incentive is taken into account. 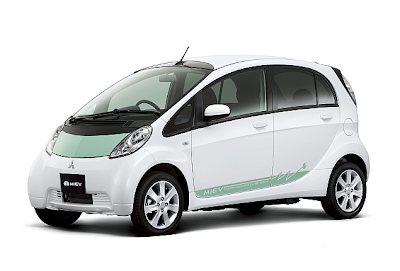 Mitsubishi originally priced the the first ever mass-produced electric vehicle at £38,699 before the £5k incentive. The Mitsubishi i-MiEV is an all-electric version of the i four-seater, with the combustion engine and fuel tank replaced by a 63bhp electric motor and a large battery pack. Mitsubishi is keen to highlight the low running costs of the car to potential buyers. The iMiEV has a range of 90 miles and costs 96 pence per charge; Mitsubishi claims it will cost £144 for 12,000 miles of driving. The i-MiEV is exempt from road tax and the London congestion charge, and attracts no benefit-in-kind company car tax. Mitsubishi claims it also has low servicing costs; it says the car's powertrain has only four moving parts compared with over 300 in a typical internal combustion engine. Over 2300 i-MiEVs have been operating on Japanese roads since full production started in July 2009. UK models have been involved in end-user trials with UK customers in the Coventry and Birmingham area since mid-December 2009.
i-MiEVs will be offered with a range of personalisation options, including roof and wing mirror graphics, enhanced stereo/MP3 systems, leather interiors and environmentally friendly accessories such as floor mats made from biodegradable bamboo fibre. Deliveries will start in January 2011.